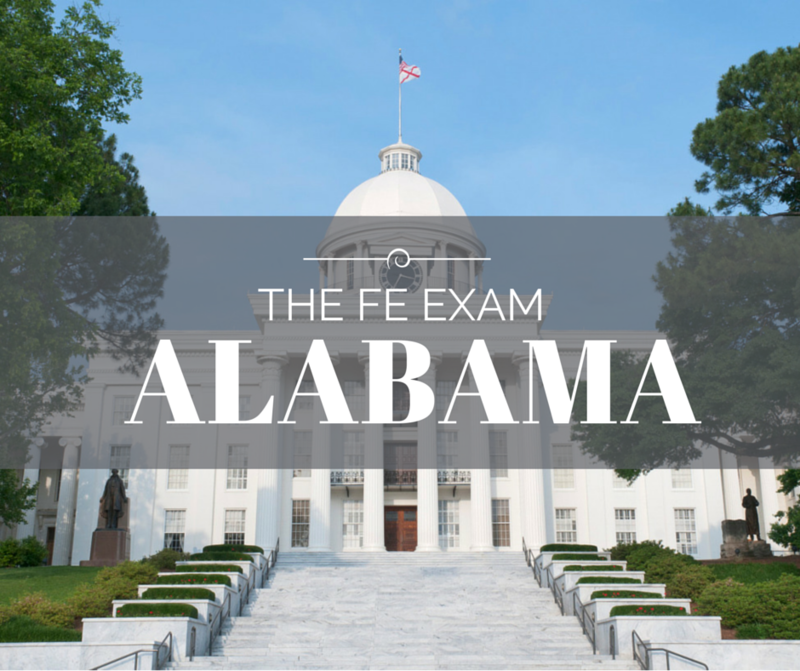 Following legislative action in 1935, the Alabama Board of Engineers was established, granting it control to monitor and administer the EIT Exam (also known as the FE test, engineer-in-training (eit) examination, amongst others). The Board is primarily responsible for regulating and licensing individuals (including E.I.T. Certification) in the practice of engineering and surveying to ensure the protection of the public through safeguarding life, health and property as well as promoting the welfare of the public. When can I take the Engineer in Training exam? If you are enrolled in an EAC/ABET accredited engineer program, you can take the exam while still in school. However, you will only be certified after you pass the EIT exam and once you graduate you have your transcript sent to the Board. What educational programs are accepted for taking the Engineer in Training exam? Any EAC/ABET or Non EAC/ABET accredited engineering program. However, further education and/or experience may be required prior to taking the PE exam if you graduate from a Non EAC/ABET. See the Boards website for details. Are there any programs equivalent to EAC/ABET accepted for taking the Engineer in Training exam? Yes, programs accredited by the Canadian Engineering Accreditation Board. Does the Board accept equivalent Foreign Education? Yes, uses or requires the applicant to use a Foreign Education evaluation service to determine eligibility. What are acceptable Foreign Evaluation systems? When in the licensing process is an applicant required to obtain a foreign degree evaluation? What terms are restricted in their usage in the state? How does State license engineers? As a professional engineer, allowed to practice in his/her area(s) of competency, regardless of which discipline of the professional examination was taken for licensure. You can change your address through the website or fax a letter. For applications and exam fees, no. They only accept checks or money orders. They accept credit cards if you are renewing your license on-line. I won't have the experience by the deadline date but will have it by the test date. Can I still send in my application for that test? No. Administrative Code 330-X-6-.01(I) states that you cannot anticipate experience. You must have the experience prior to the deadline. Is experience prior to graduation acceptable? Only if it was received in a formal co-op program through the school or if it took you 6 years or longer to receive your BS degree and you were working gaining engineering experience if applying for engineering or land surveying experience if applying for land surveying. Either way, the experience must be verified by a PE if for an engineering application or by a PLS if for a land surveying application. You will receive no more than 6 months credit. Can I get credit for part time work? Yes, only if that is all you were doing. You would not get credit for working full time and then doing part time work on the side. You would receive approximately less than half credit for the experience and it would need to be verified by a PE for engineering work and LS for land surveying work. How do I verify engineering or land surveying experience if my supervisor is not licensed? Engineering Experience — If your supervisor is not a PE but is a graduate engineer, you can have them complete a Background Information Form on the website (under Applications then under PE Forms) as well as the Experience Verification form. The board would review to determine that when you were working together if this person would have sent in an application to become licensed would they license them. If so, you would get credit for the experience. If not, then you would not. Land Surveying Experience — If your supervisor is not a PLS but is a graduate land surveyor, you can have them complete a Background Information Form on the website (under Applications then under PLS/ALLS Forms) as well as the Experience Verification form. The board would review to determine that when you were working together if this person would have sent in an application to become licensed would they have licensed them. If so, you would get credit for the experience. If not, then you would not. How do I verify experience if my supervisor is deceased? If your supervisor dies before you make application, you can get another licensed individual in the company to verify your experience. If there is no one inside the company that is licensed or a graduate engineer if engineering experience or graduate land surveyor if land surveying experience that can be reviewed as substantially equivalent, you can get a licensed individual outside the company who is knowledgeable of your experience. You would also be required to specify how this person has knowledge and how often they have reviewed your work. What if my application or other information is received after the deadline? Comity — your application will be processed for the next board meeting. PE, PLS, and/or ALLS Exam — your application will be processed for the next exam. There are no exceptions per the Board members. You can check your status on the website under Applicants and then under the appropriate link. I will be submitting my NCEES Council Record. What other documents will I need to submit? You need to complete only questions 1-15, 20, 22-23 of the application, submit with a $75 check and proof of citizenship. Our law requires that experience be verified by PE’s or by a graduate engineer the board can review to determine if they are substantially equivalent. If the individuals who completed the experience verification form that are contained in your NCEES Record were not PE’s, you may be requested to send additional verification of your experience on Alabama’s experience verification form if there is a deficiency in the experience requirement. I am registered in Canada. Will I be able to obtain licensure in Alabama? Yes, if you meet Alabama’s requirements such as education, work experience, you have passed the NCEES FE & PE exams and you have a United States Social Security Number. Can the FE, PE, FS, or LS application forms be faxed or e-mailed? No. they must have the form with the original signature and the check. Do I have to be a resident of Alabama to take an exam? No, but if you file an application in Alabama, you will be required to come to Alabama to take the exam. How long will it take to process my comity application? They have board meetings approximately every 2 months. Once an application is complete and if there are no anomalies or felonies, a license will be issued in approximately 3-4 weeks. If there are issues with the application, the application will be reviewed at the next board meeting provided everything is in by the deadline. Are correspondence classes/distance learning degrees acceptable? Yes, unless you were originally licensed as a PE in another state prior to December 31, 1992 and you are currently licensed in some state or you were originally licensed as a PLS in another state prior to December 31, 2005, and you are currently licensed in some state. Does my transcript have to be mailed directly to you from my school? Yes. They cannot accept a transcript from the applicant. I received my engineering degree outside the United States. Is that acceptable? Does my foreign degree have to be evaluated? Yes. The Board requires that your education be evaluated by National Council of Examiners for Engineering and Surveying (NCEES). Please contact NCEES at www.ncees.org to request an education evaluation packet. There is no waiver to this requirement. If you have an evaluation performed by AACRAO of Josef Silny & Associates prior to July 1, 2009, they would accept that evaluation. I have an engineering technology or related science degree. Can I apply for engineering licensure in Alabama? Exam Applicants — Our law changed December 31, 2005. they no longer accept engineering technology or related science degrees unless an ABET accredited MS or PhD in engineering has been received in addition to your BS. Comity Applicants — If you were originally licensed in another state as a PE prior to December 31, 2005, and you can have at least 8 years of experience prior to December 31, 2005, verified by PE’s and you are currently licensed, you can file an application. What can I bring into the exam? Since NCEES administers the exam for us, you need to contact NCEES at (877) 536-7729 or www.ncees.org. Can my exam fee be refunded or applied to another exam? ALLS Exam — there are no exceptions. Our law does not provide for either. PE & PLS Exams — you must contact NCEES about their refund policy. Does me not showing up at the exam count as a failure? No. It only counts if you show up and fail. What happens if I fail the exam in my alloted time? You will be notified that you application is closed and you will be required to file another application and meet the requirements at the time of reapplication. Can the FE and/or PE exams be waived? No. Our law has no provisions to waive either exam. Can I have my exam regraded? Yes. NCEES charges $75 to regrade an exam. you must contact NCEES for the regrade within 30 day of your exam results. NCEES will take the scoring template and place it over your anstheyr sheet to ensure the computer scored your exam correctly. There has never been a change in exam scores based on this regrade method. Why can't I review my exam? NCEES and the Alabama Board reserves the right to repeat questions, and the integrity of the questions is compromised by overexposure. If some examinees are allotheyd to review questions, it may give them an unfair advantage over other examinees. How does NCEES set the passing score on its exams? Go the NCEES’ website — www.ncees.org under “Exams” to answer questions concerning scoring of the exams. Can I find out my score? No. they only release the results as pass or fail. If you fail, you will receive a diagnostic report to help you determine where you need to improve. What is the difference between the FE (Fundamentals of Engineering) and the EIT (Engineer in Training) exams? None. It is simply a different name for the same exam. When are admission cards mailed? NCEES will notify you by email approximately 21 days prior to the exam that you can download your admission notice from your NCEES account. If you are taking the ALLS exam in Montgomery, the admission cards are mailed approximately 10 days prior to the exam. Where can I find study material? NCEES has study material for the FE, PE, FS, and PS exams on their website. The Alabama History & Law study material can be found on our website under Applicants then PLS & ALLS Application Forms then under Exam Information. If you took the exam in April, approximately June 15. If you took the exam in October, approximately December 15. The ALLS exam in Montgomery in the board office is usually mailed within a month of the exam. What is covered on the exams? NCEES has available on the website all the exam content information for the FE, PE, FS, and PS exams. For the ALLS Exam, go to the website under Applications, then under PLS/ALLS Application Forms, then Exam Information then ALLS Exam Specifications. Do I have to take the exam in the same discipline I received my degree in? Can I apply in Alabama to take the exam even though I don't live there? Yes. If you make application to take the exam here in Alabama, you must come to Alabama to take the exam. Can my exam be proctored? No. If you filed an application in Alabama to take an exam, you will have to come to Alabama to take it. Does Alabama accept Veteran's Preference Points? No. If you had Veteran’s Preference Points added to your exam score to give you a passing grade, they cannot accept that exam. Georgia adds Veteran’s Preference Points to scores. If you are a veteran and took the exam(s) in Georgia, you may need to check with the Georgia Board to see if Veteran’s Preference Points were added to your score. I applied for the exam and have not received my admission card. Why? Is it 21 days prior to the exam? NCEES notifies you by email 21 days prior to the exam to download your admission notice from your NCEES account. Contact NCEES at (877) 536-7729 if you have not received an email. You can also log back into your NCEES Account to see if the admission card is available to be downloaded. If you are taking the ALLS exam in Montgomery and have not received your admission card 2 weeks prior to the exam, call the board office. I have a disability or a religious conflict with the exam date and need special accommodations, what do I need to do? When you register with NCEES, there is an option for Special Accommodations. If you need more information, you would need to contact NCEES directly . Have further questions? Check the Frequently Asked Questions or visit www.bels.alabama.gov to get the most up to date information.